You may be cutting down on the weekend meals or trying to shop smarter, but you may be unaware of huge savings that can be made through green installations at your home. Apart from the potential savings offered by these installations, they’ll also make your home self-reliant. Here are some of the options you can go for. These are low-energy consuming lights that can last for up to 20 years. 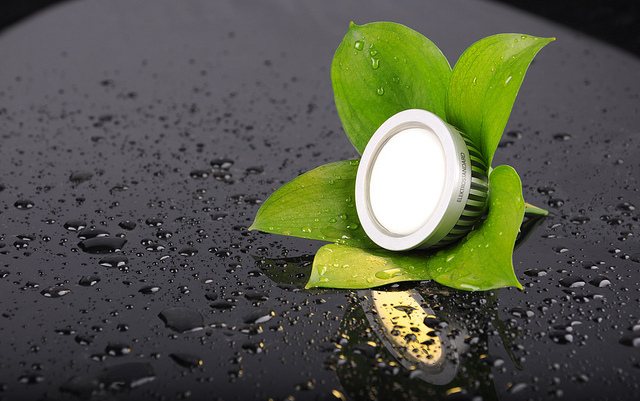 For brightness, they use 90 percent low watts per hour compared to incandescent lights. They lead to savings in light and bulb purchases as well as in energy. They’re an investment worth looking into, and the cost only averages around $20 per unit. They’re a top choice when it comes to green home installations. Custom LED lightning installations also available to consumers. Many of you would be fond of using consumer electronics at your home; laptops, smartphones, tablets, video games etc. Did you know they account for a total of 13 percent energy consumed at homes? This was reported by CEA, and the cost of charging and running these devices goes up to $191 per year. Energy saving adapters (AC/DC) are now being manufactured by companies such as Green Plug. They’re made to give the devices the exact amount of charge they require, and shut themselves down automatically once the required amount of power has been given to the specified device. They’ll lead to money savings if you regularly charge devices and other electronic items. Apart from green installations inside the house, you could save some bucks by tweaking your home from the outside. The outdoor solar motion sensor lights provide you ‘free energy’ to use, They use the sun to charge themselves, and the charge goes on for up to 2 weeks. They’re also brighter, and stay on during power outages as there’s no electricity involved. Therefore, you save in terms of electricity as well as home security. Thermostats have been around for a while, but advances have been made to make them more energy efficient, leading to savings. The thermostats are now being equipped with advanced sensors and algorithms, and they even allow for cloud computing. These high tech thermostats can lead to a 30 percent decrease in average annual energy bill. An example of such as thermostat is Nest Learning Thermostat by Nest Labs. A separate account can be maintained for spending on the listed and other green additions. Researching banks that offers the best interest rate on savings accounts would result in some options. Apart from savings accounts, there’s also an option to go for current deposit account by comparing cd rates of different banks. Are the Buildings Being Built in Cebu South Road Properties Can Withstand Earthquakes?